76 x 32 inches. Our cardboard cutout of Justin Bieber Arms. All cardboard cutouts come folded and ha..
59 x 40 inches. Our cardboard cutout of Justin Bieber Believe. All cardboard cutouts come folded and..
69 x 23 inches. Our cardboard cutout of Justin Bieber Blue Suit. All cardboard cutouts come folded a..
74 x 20 inches. Our cardboard cutout of Justin Bieber Checked Shirt. All cardboard cutouts come fold..
74 x 25 inches. 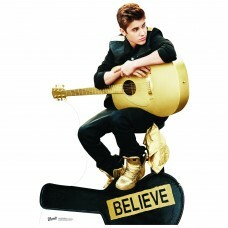 Our cardboard cutout of Justin Bieber Gold Shoes. All cardboard cutouts come folded ..
69 x 25 inches. 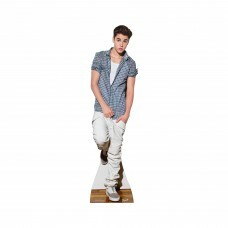 Our cardboard cutout of Justin Bieber My World. All cardboard cutouts come folded an..
69 x 21 inches. Our cardboard cutout of Justin Bieber Purpose. All cardboard cutouts come folded and..
69 x 21 inches. Our cardboard cutout of Justin Bieber Ripped Jeans. All cardboard cutouts come folde..
69 x 19 inches. Our cardboard cutout of Justin Bieber Suit. All cardboard cutouts come folded and ha..